Near to Tracy Arm is the equally beautiful but less well-known Endicott Arm which features the Dawes Glacier. 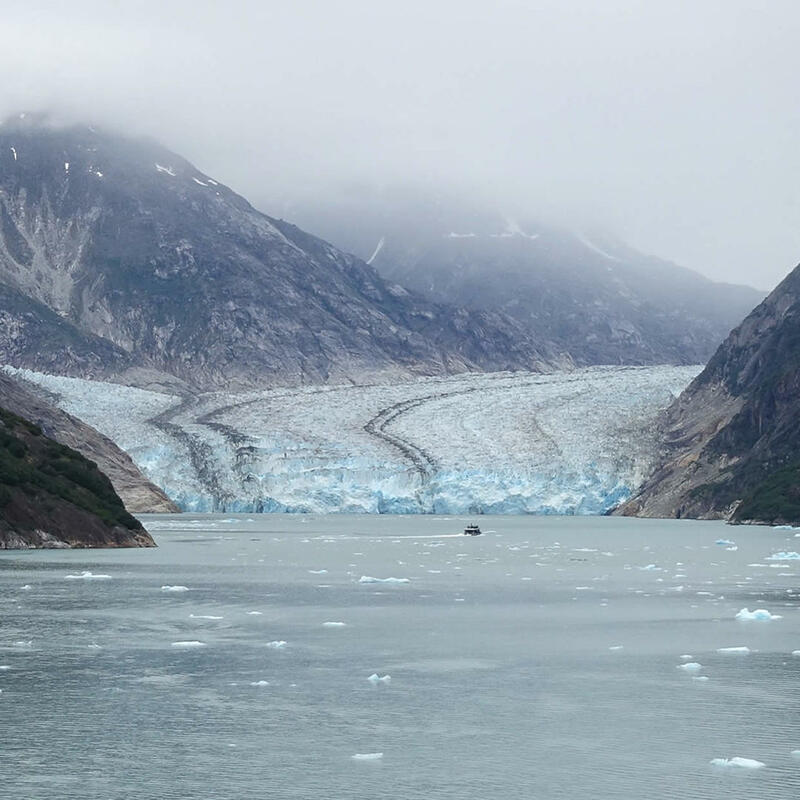 Since the passage to Tracy Arm is often unpredictable, the Endicott Arm makes a wonderful alternative. If you're on a cruise, you may be able to catch a glimpse of icebergs calving off its side.